Johanot 125 gr., 25 x 16.5 cm., 48 pages (unnumbered). 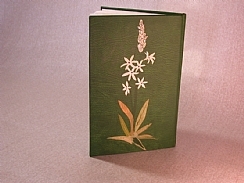 Half green leather in slipcase, a few copies full leather binding with onlays. 40 signed and numbered copies.